The majority of air purifier buyers are people who suffer from allergic conditions. To them, fixing drafty windows and installing an air conditioner are not enough measures to protect them against allergens. And that is why they have to be extra keen and buy the best allergy air purifier on the market. Smokers, people who live near industries and anyone else who doesn’t feel comfortable living in a dusty house are also potential buyers for an air purifier. Unfortunately, there are currently too many air purifiers to just pick any that suits your budget. 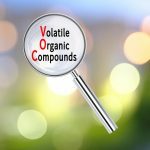 In fact, most of the low budget imports often perform poorly, and so are those devices that have no certifications or backing from authority bodies such as medical organizations or institutions that support people with allergic conditions. Read below to see the top five most performing allergy air purifiers, as well learn about the features that make these devices exceptional. 7 What exactly is an Allergy? 9 How Do You Know If You Have an Allergy? 10 Is there a cure for allergies? 11 Do Air Purifiers help Allergies? While it looks neat and appealing, the HPA300’s biggest highlights are in its excellent performance and reliable technology. It feels a bit heavy, unfortunately, but its great energy efficiency, overall high performance, and quiet blades should just assure you of how great this device is. With a weight of 21 pounds, the Honeywell HPA300 is just great if you don’t have intentions of relocating it from one room to another very often. It is moderately sized with its rectangular shape and features some of the best systems you can get in a top rated air purifier. 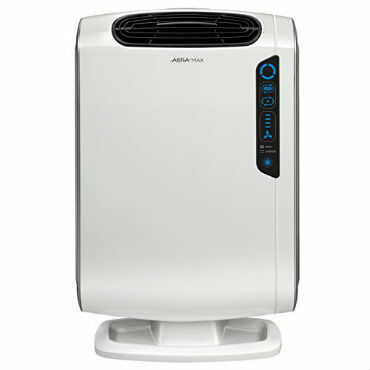 It uses strong blades also and has got a true HEPA filter to increase its performance. With a true HEPA filter and two additional filters, the HPA300 removes almost 100 percent of all particulates that may be polluting the air in your house. Unlike many other devices, the HPA300 goes beyond being a good air purifier. It performs impressively well, especially because it can eliminate smoke, VOC gas fume particulates and pet dander with utmost efficiency all while operating silently. It is recommended for rooms sized 465 sq. ft.; but placing it in a room bigger than that could still guarantee you great results. In most cases, high performing air purifiers are heavy energy consumers. Fortunately, the HPA300 is different. To start with, it is energy star certified and could consume as little as 40w on its lowest fan speed setting. However, as you increase the device’s speed, you can expect higher wattage consumption, but never higher than 130w even in the highest speed setting. This is by far a greater energy saving air purifier; bearing in mind that there are some smaller devices which consume as high as 200w. 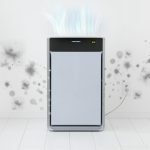 The AeraMax200 may not be the very best allergy air purifier, but it is one of the most convenient and top rated air purifiers for dealing with smoke, gasses, dirt and pollen. In addition, the device has plenty of convenience features on its display panel. For instance, it has an air quality sensor, which means you may never have to change the fan speed settings in a bid to increase or lower its performance. Read below to see more of the device’s features and functions. The AeraMax200 has one of the most attractive designs you can find in an air purifier. It is sleek and stylishly designed. It weighs only 10 pounds heavy and has measurements of 7.1*13*20.5 inches. Like other top rated allergy air purifiers, on the other hand, the AeraMax200 uses the highly reputable HEPA filter for its performance. Still, as you will realize below, this device has a very good looking control panel that it strategically placed on the upper side for convenience. The AeraMax200 isn’t top rated for its good looks alone. Quite on the contrary, it is the exceptional efficiency the device achieves with its true HEPA filter and a pre-filter that makes it so popular. Its filters alone are able to eliminate about 99.97% of all airborne particles that may be in your house; and especially the spores, cigarette smoke, and pollen that are prone to causing allergies. In addition, this air purifier comes with an air quality sensor, which automatically self-adjusts to better or reduce the performance rate of this device to your convenience. On the air purifier’s control panel, you could adjust the fan speed settings, adjust the vent control function to determine the air flow direction or simply read your house’s air quality. Still, there is a blue light indicator that shows the device is in operation and an additional light indicator to show you when you need to replace the device’s filters. 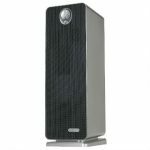 The IQ Health Plus is one of the most unique high performing air purifiers you can find on the market today. 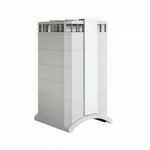 Its design is exceptional and state of the art, while its performance abilities transcend that of any other allergy air purifier you can think of. But as you would expect from such an impressive device, the QAir Healthplus is a bit expensive, but not too expensive if you suffer from any allergic conditions. The QAir looks elegant and stylish, but it does not hide within these good looks. Instead, the 35 pounds weighing air purifier holds its greatest strength in a superior technology that can filter out even the tiniest of air particulates, a reliable and consistently great performing system even two to three years later and meaningful and modern features meant to make your experience with the device great. And going by the majestic design of this device, you could feel proud to place it in any part of your house, especially where you spend most of your time in. As already stated, and as many Allergy air purifier reviews have noted earlier, the QAir Health Plus is exceptional not because of its great design or high costs, but because of its combination of the best air cleaning technologies that offer highly impressive air cleaning services. It uses a patented HEPA air filtration that is 100 times better than the average HEP filter. With that in mind, the QAir air purifier offers about 25% more clean air and at relatively 30% times less noise. And what is even more amazing with this device is that it doesn’t falter in eliminating any type of particulates. On its control panel, you not only are able to adjust the fans’ speed settings, but you can view the device’s filters’ life cycle. It is also energy saving and recommended for use by doctors. The Oransi Finn air purifier is perfect for bedrooms, offices or in the kitchen; mainly because it has a great V-HEPA filter for efficient dust, dirt and pollen removal, and a carbon filter that helps eliminate smoke other unpleasant gasses from your house. It also looks stylish and modern, and as such, you would feel confident to flaunt it to your guests. Read below however to get a review of this great device that comes with a ten-year warranty. The Oransi Finn as earlier noted is stylish with its oval shaped design, a mix of gray and black hues and perforations. It is a perfect fit for any bedroom or office, and not only because of the good designs. It uses a special type of HEPA filter capable of lasting up to 2 years and has got an extra pair of carbon filters that helps take care of VOC fumes and cigarette smoke. It is also easy to install and has got a strategically placed control panel that has plenty of convenience features. At one time, Oransi Finn was the number one air purifier for people with an allergy or asthmatic conditions. It is still is a great device at the moment, especially because its exceptional HEPA filter runs consistently for more months than any typical air purifier. On the other hand, the air purifier is very easy to use and reliable. Once plugged in, you almost have no other role to play while it runs. The Oransi Finn runs with three different filters but not just any filters. Its HEPA filter as earlier stated can last for about two years, and that means you will have to wait twice as long what most people wait before changing the filter. You also get 2 pre-filters to increase efficiency for this air purifier, besides a carbon filter that can easily be vacuumed and placed back into the device. 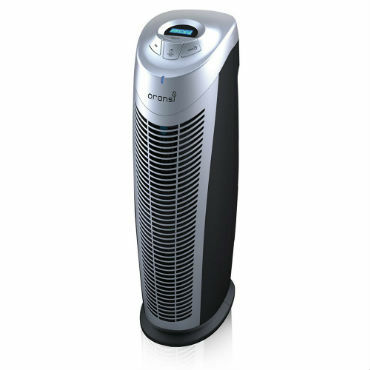 This Germ Guardian model is one of the cheapest top rated air purifiers you can find on the market today. It costs slightly below $100, yet it combines about three reliable systems to offer an efficiency rate of about 99.97%. 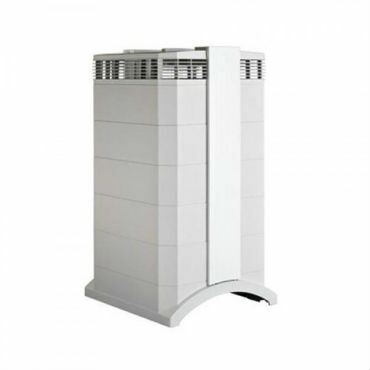 It is also quite a light air purifier, and buying it could mean enjoying the great customer services offered by the Germ Guardian manufacturers. Read below for a complete review. 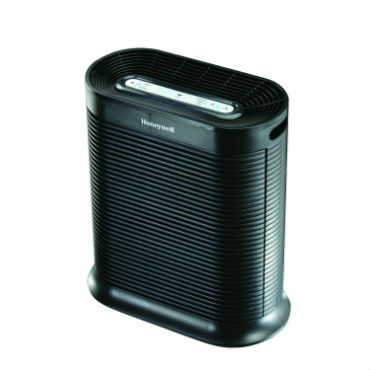 The rectangular shaped portable air purifier weighs 9.7 pounds and measures 8.9*7.1*21.8 inches. It resembles an entertainment device, but it’s not as stylish or good looking as the higher priced top rated allergy air purifiers. However, the greatest highlight of this device lies in the great value you get after paying less than $100 price tag it asks for. The air purifier combines the powers of a true HEPA filter to trap and capture about 99% of bacteria; spores, pollen and dirt particles from your house. On the other hand, it uses a strong carbon filter to neutralize smoke and odor molecules, thereby offering a very high level of air quality ion your house. It also uses a UV-C light bulb to neutralize the common virus and bacteria types from your house. It is also convenient in that you can adjust its fans’ speed settings, plus it operates very silently; thereby providing you with the convenience you would need at night. Finally, the high performing, energy saving air purifier is recommended by doctors owing to the reliable and strong use of a HEPA filter to eliminate all forms of allergy. An allergy is the body’s reaction to a foreign substance; often known as an allergen. Allergens by themselves aren’t harmful because they could be anything you encounter on a daily basis. Milk, eggs, dirt or pet hair, for instance, are all allergens to some people. There are many reasons why your body could identify these foreign substances as harmful to your body, but in most cases, it is often a genetic disorder. Actually, you have an 80% chance of becoming allergic if both your parents have an allergy. These chances then reduce to about 25% if only one parent has an allergy. You can still develop an allergy when neither your parents had any allergic conditions. And that’s because everyone has antibodies that help fight potentially harmful substances in your body. That means, therefore, that you develop an allergy to any foreign substance as soon as your antibody recognizes it as potentially harmful. In the US for instance, there about 44 million people with allergic conditions, most of which are food allergies. Foods such as eggs, peanuts, milk, fish, and wheat are especially concerning sources of allergies. 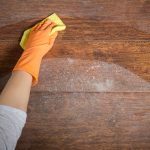 Common non-food allergens, on the other hand, include dust, pollen, pet dander, and spores. You may have heard people say that allergies come and go, and this could be true depending on what type of allergies they are talking about. Seasonal allergies, for instance, affect people during certain seasons of the year. For example, you can develop allergies to pollen during the spring and not at any other season. 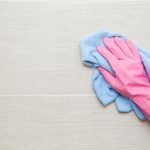 Perennial allergies affect you all year round, however, and they are mainly caused by food, dust, smoke pores and pretty much everything that you encounter on a daily basis. Note also that it is very possible to experience both seasonal and perennial types of allergies, which is why you should visit a doctor to examine you as soon as you realize you have an allergic condition. If both your parents have an allergic condition to eggs and you are beginning to experience itchiness and red swells on your skin when you eat them, there is no need to ask if you are allergic. It is called atopic allergy. It means your source of allergy is genetic in nature. But for the rest of people who have no idea if they genetically are predisposed to having an allergic condition; here are symptoms that should help you get aboard. Once your body starts to fight the foreign substance that is causing an allergy, your nose may start to swell or release mucus. And since the cells present in your nose are also present in the eyes, they may become watery as well. You may also experience a sore throat depending on the type of allergy you have. Note also that most of the times people confuse an allergic condition for the common cold because they have almost similar symptoms. However, there is no fever with allergies, and the mucus you produce is also conspicuously thin. It is common to experience itchy skin rashes when you have an allergic condition. Sometimes the itchiness could be little, while at times it could be very continuous. Swelling of the eyelids, lips or in your throat could also be signs of an allergy. Most allergies are accompanied by symptoms you can clearly differentiate from other diseases. All the same, it is advisable to seek an allergy test so that you can know what type of medication you should take. Note however to take your allergy test from a qualified and approved doctor so that you can get the correct diagnosis. There are several ways to treat an allergic condition and knowing your allergen is a great place to start. This is because avoiding the foreign substance that makes you allergic is a sure and expense free method you can rely on. If you are allergic to eggs, for instance, avoiding them and all their byproducts are enough assurance you can’t experience the suffering that comes with the allergy. If avoiding allergens is impossible, you can consider nasal sprayers, antihistamine tablets, and eye drops to suppress the allergy symptoms. People who experience severe effects as a result of their allergic conditions, however, immunotherapy may be a great choice for them. It involves a series of injections that introduces your immune system to the allergen they constantly reject but done in low quantities for the sake of strengthening your antibodies. Note, however, that immunotherapy is expensive, time consuming and carries some degree of risks with it; and as such should be done by a highly trained individual and when all other methods have failed. 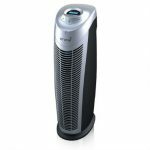 If you’ve heard doctors recommend the use of air purifiers when you have an allergic condition; that is because these devices are helpful. Of course, an air purifier may not help you if you suffer from food related allergies, but it might be great to someone who experiences spores, pollen, dust or pet dander related allergies. A great air purifier should be able to trap these allergens with its efficient HEPA filter or carbon filter, and thereby helping you steer free of the substances your antibodies hate the most. You can read allergy air purifier reviews online, or ask your doctor for a recommendation of the best air purifier for someone like you. 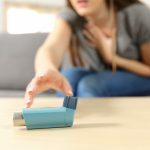 In many cases, air purifiers that rely on a true HEPA filter are great for someone with allergic conditions, because they are known to capture as much as 99% of all these unwanted air pollutants. While there is no known cure for allergies, owning the best allergy air purifier and steering clear of allergens that affect you can help you live a healthy life. It is, however, important to own the best device and consult the best doctors when you have an allergic condition. You probably know it already after all, but some allergies could be life threatening. Fortunately, any of the devices we reviewed above are all great choices for someone with an allergic condition, and they are also great choices for anyone else who need to have a high level of air quality in their homes at all times.